TravelWise provides a number of services to help make sustainable commuting possible. Employees of Member Organizations gain access to online trip planning and carpool matching software, discounted transit passes, and an emergency ride home service. Employees are also encouraged to take part in events that are promoted through TravelWise, providing them with resources and incentives to try something new! 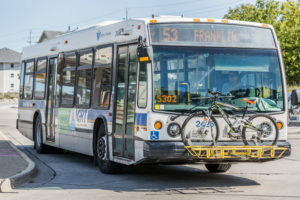 Employees who commute sustainably have access to an Emergency Ride Home program to reimburse costs if they need to make alternative travel arrangements. To see terms and conditions or submit a claim, download the Emergency Ride Home Form. Employees of TravelWise Member Organizations receive a 15% discount on their monthly transit passes. To view pricing or to purchase a pass, visit the TravelWise Corporate Pass page. 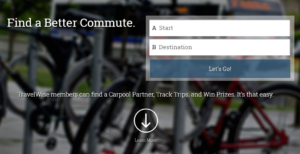 Gotravelwise.ca is a useful tool for trip planning and finding carpool matches in Waterloo Region. It also has a number of features that allow users to take part in online contests and challenges. For security reasons, each Member Organization has its own private network on gotravelwise.ca. If you are interested in registering under your organization’s private network, make sure to contact your TravelWise workplace champion, or contact TravelWise directly (travelwise@regionofwaterloo.ca).